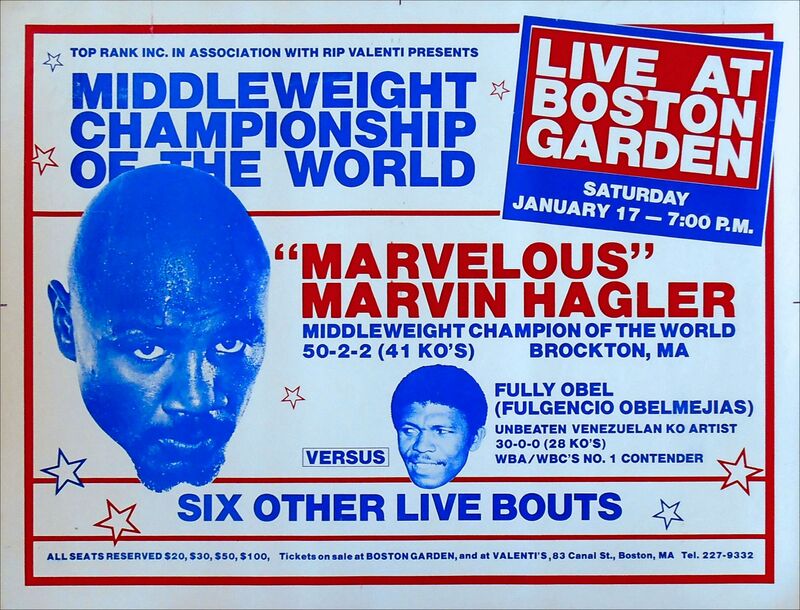 Description : Here we have an original official onsite main event boxing fight poster for the undisputed world middleweight championship title bout held at the Boston Garden, Boston, Massachusetts, USA, 17th January 1981. 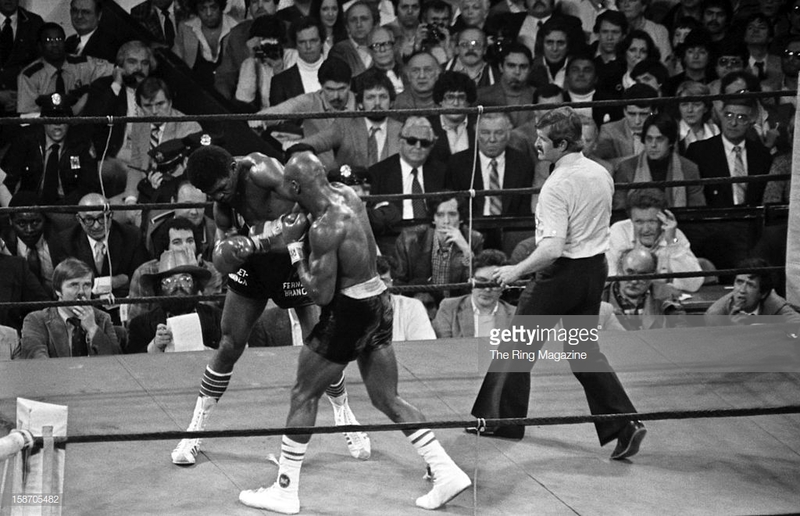 Marvin Haglers reign of terror began when he had scored an 8th round TKO in the first defence of the middleweight championship, Marvin Hagler still didn't know too much about "what's his name? Fully Obel?" 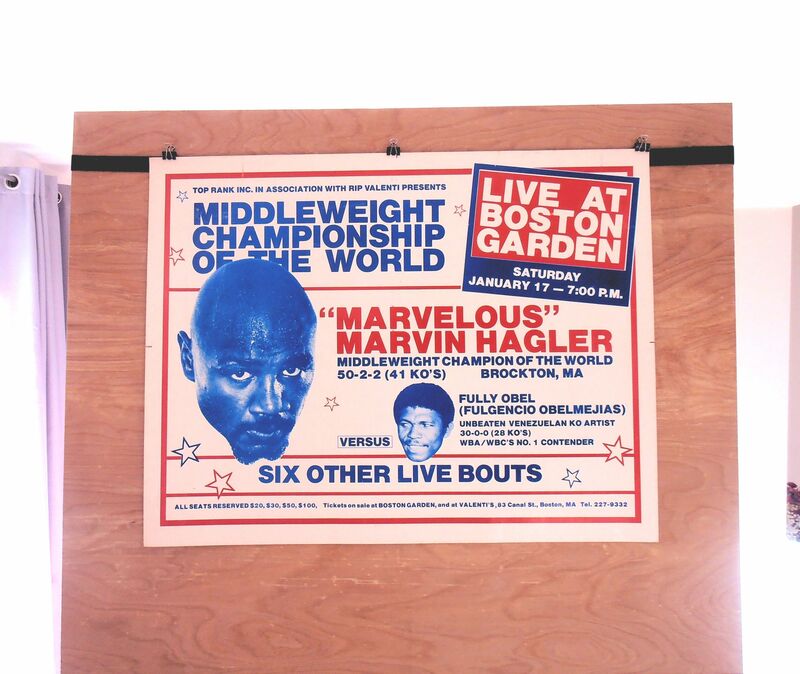 For instance, Hagler said, "I didn't know what was keeping him up." Obelmejias was the No. 1 contender in both the WBA & WBC. The 28-year-old Venezuelan had been undefeated in 30 fights, with 28 knockouts, but "he never fought a Marvin Hagler," said Marvin Hagler. Condition : Good / minor handling*surface compression*edgewear.